Look out! There’s a segway coming slowly for us. So I rented a segway this weekend. 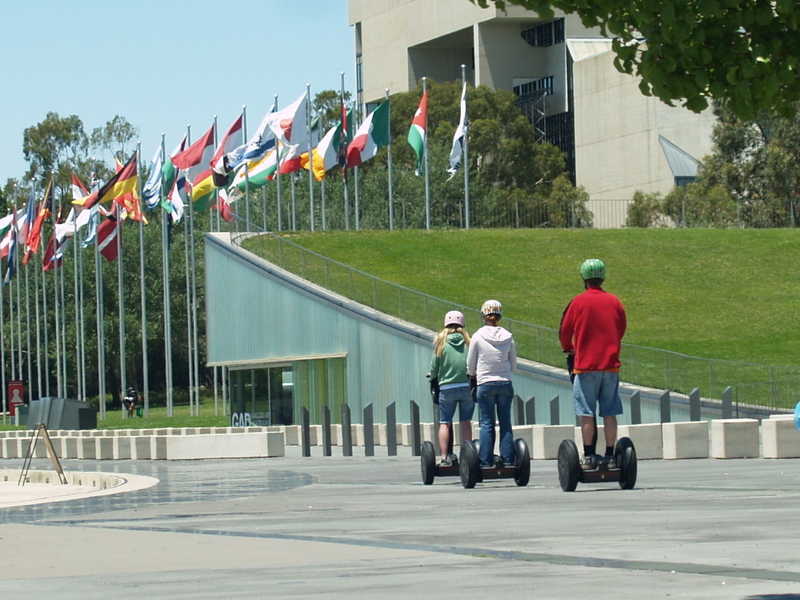 It has recently come to my attention that there is an on-again, off-again segway business down at the lake (the “on” and the “off” of which is apparently determined by the current level of hand-wringing by local government). Because LOL, am I right? It’s the vehicle of choice for anyone who wants to look like a complete tool. Because GOB BLUTH, one of my all-time favourite people, ever. Just once, I wanted to roll up to Richard (ZNNNNNNNN) and sneer at him menacingly but sort of nervously all, “Hello, Michael.” And then silently reverse away. Because HOW EVEN IT WORKS. Don’t get me wrong, I’m a big fan of two-wheeled transport. Big fan. I just think that wheels are supposed to be fore and aft, not port and starboard. Also I’m partial to putting a bit of effort into the propulsion of said wheels. Because DECEMBER. And I don’t think Richard has bought me anything yet, and if he sees me looking adorable on a segway, he might buy me one. And then I could ride it to work. Actually, maybe I would ride it AT work, and be all (ZNNNNNNNN) “Here is that speech you wanted” and (ZNNNNNNNN) “Please don’t leave boxes in the hallway”. So lucky they didn't give me the GIANT WATERMELON HEAD. It’s like a giant, stupid-looking, battery-powered, weightless robot that obeys your slightest movements. Rock forward and ZNNNNNNNN off you go. Rock back and slow down. Stand normally and it stays put, but with a sort of “Stopping? Are you sure?” quiver in its gimbals. Depress one hand and you spin on the spot. Shift your weight to take the corners. It’s like skiing and standing still all at once! Man becomes machine! Machine becomes man! I never did find out what happens if you need to urgently…step off it. But George Bush did. « Mark Bode’s head on a plate. You are currently reading Look out! 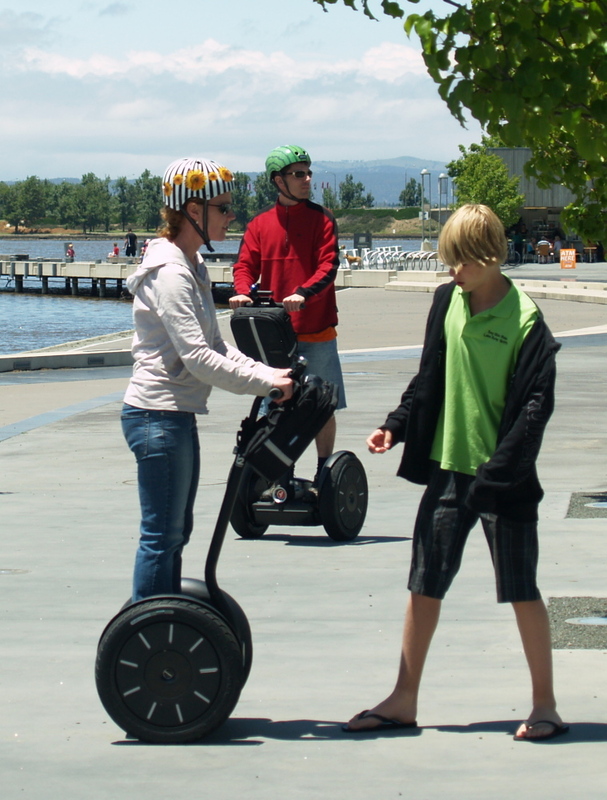 There’s a segway coming slowly for us. at lightlyskipping.